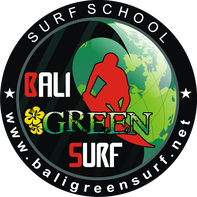 Our surf camps in Bali and Java are the perfect option for those of you who want to travel and surf at the same time. It doesn't matter if you have never set foot on a surf board before or you already know how to catch green waves, there is something for everyone. Our all-round carefree packages are already including transport, accommodations, surf lessons, a lot of fun and adventures and much more. Check our options to find the one that is best for you. If you have any question or you have any special inquiries about any of the camps, please contact us.